When you subscribe to a cloud-based shipping solution like Pacejet, part of what you're buying is access to continuous innovation and we've been working hard during 2014 to expand our deliveries on that commitment. 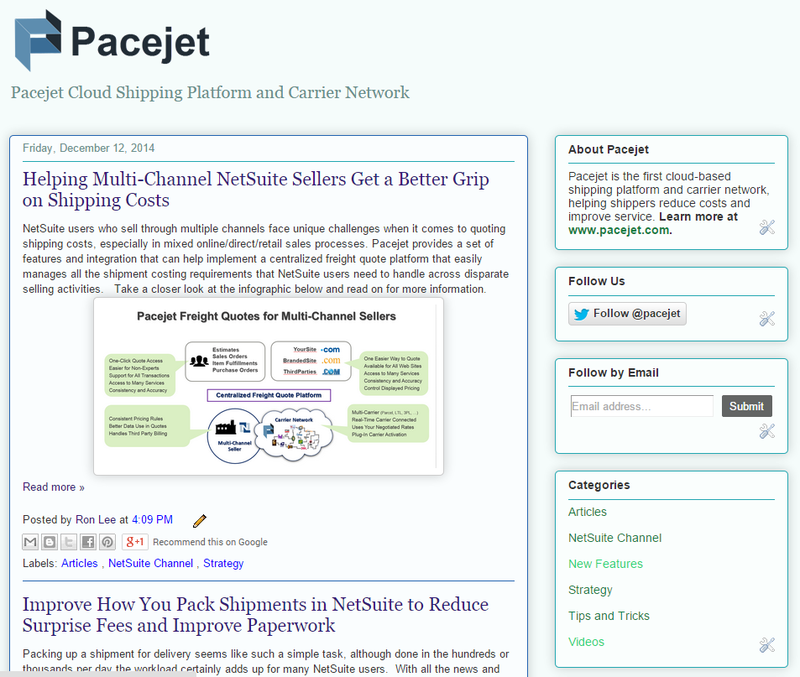 If you haven't looked into the latest updates, now would be a great time to get a jump on Pacejet "NetSuite shipping tune-ups" as you prepare for the new year. Read on for a high-level summary of many recent enhancements and additional sources of information for planning. The big release news for Pacejet this year started with a major new platform roll-out (Pacejet 14) with significantly faster performance (4x-5x), a new responsive user interface, better resource management when using many LTL / Parcel / 3PL carriers at once, faster asynchronous freight quotes, more high-speed shipping options, new scan-based lookup and wedge productivity options, hot-key support, an easier packing process, lots of new carrier plugins and carrier updates, more self-service administration tools, and much more. Upgrades to Pacejet 14 have been proceeding well and include providing access to a preview sandbox, automatic migration of your current environment, coordinated test setup with your ERP integration, and then a production cut-over when you're ready to move into live use. One of the quickest ways to get a grip on all that's new would be to simply signup for a Pacejet 14 preview, get access to an upgraded version of your current environment, and take a look at the new help center. 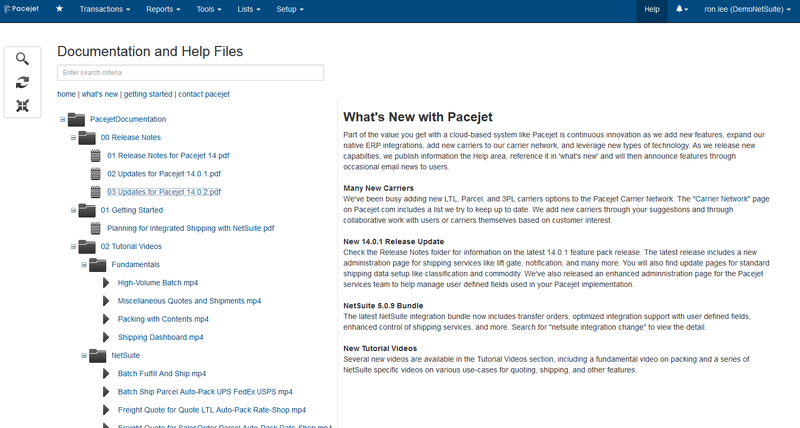 In Help for Pacejet 14, you'll find new documents, a new series of videos with more being added regularly, and release notes that highlight individual platform updates, carrier updates, and Pacejet NetSuite integration bundle releases. Don't worry about this process interfering with your production setup, an upgraded sandbox location is usually provisioned to be standalone with carriers turned back to "test", and optionally connected to an ERP sandbox (if you have one), so you can play with, test the system, and train users without worrying about impacting current shipping operations. Another new resource to use is the blogs.pacejet.com site which is filling up with content as we work to get better at publishing more information, more details, helps and tips, and other useful content. We know we don't have this area working as well as we'd like quite yet but decided to press ahead to get the word out and keep refining as we go. When you get access to your Pacejet 14 sandbox, you'll notice that all the familiar tools are available but in a newer, faster, more flexible user interface. You'll also see much snappier performance (4x-5x) based on a total re-factoring of the user interface to eliminate past-backs, leverage better session management, and use of something called auto-scaling much more effectively on back-end processing in the application and with carrier connections (in case you're curious, auto scaling just means we automatically spin-up extra servers during those busy shipping rush hours). All that tech speak simply means everything runs faster, with more reliable connectivity with carriers, allowing your users to simply move more quickly. When you work with our team on your upgrade (contact support to start), we're going to encourage you to perform a simple upgrade first, with no implementation changes, and a focus on basic user training and productivity. We've found this is the best way to get users up and using the new, faster processing without introducing too much change too fast. As related next step, we'd suggest then considering any carrier changes or upgrades that might be important to you. Carrier connections are managed as plugins, so we should make sure you are on the latest and can add/change out any new carriers you'd like to start using. Help area release notes have some information on carrier upgrades, as does the blog (e.g. here is a recent post on the latest UPS upgrade that's available), Our website has a list of available carriers but check with our team if any questions since the list is constantly expanding as we add new ones, as customers support development of new connections, and as more carriers request to "get connected". Beyond the Pacejet platform and carrier network releases, we've also rolled out new Built for NetSuite bundle releases on a regular basis, introducing minor feature refinements, improved custom field handling, easier administration, and some major new features. As you consider bundle upgrades, please review this with our support team as we'd like to make sure your Pacejet NetSuite upgrades are as smooth as possible and any implementation work for new features is planned properly. 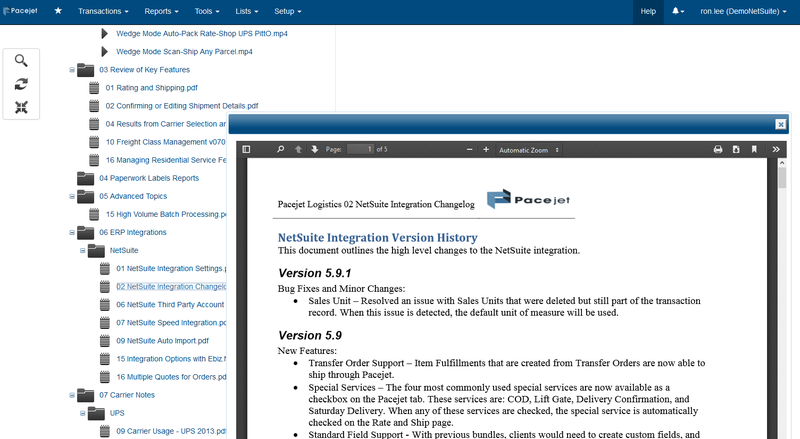 In the Pacejet 14 Help area, you'll find a "NetSuite integration changelog" with a play by play outline of new bundle features by release. For example, the 5.9 series of updates release transfer order support, standard special services setup for a common set of services (moving away from using one multi-select box for all services and to individual check boxes based the advice of many customers), better standard and custom NetSuite data field mapping, new shipment void automation options, new tab control options for processing, and more. If you're looking for more of a deep-dive on all the Pacejet NetSuite bundle settings and features, a new document called "NetSuite Integration Settings" for a whole range of new information on settings, what they do, how they work, and how you might use them to refine your implementation. There are some super user tricks and information in that document, so we'd suggest you consult with our team carefully on what behaviors you'd like to change, why, and how. Although we generally talk about Pacejet 14 as "one release", the baseline platform release was a single launch and upgrade cycle but it also established a baseline for releasing incremental improvements on a more frequent basis. For example, in Pacejet 14 Help you'll already find release notes for several new feature packs and updates released during the year. Highlights you'll find include improved administration for special carrier services (i.e. so you can use more in the your NetSuite setup and then turn them on / off for carriers), new support for administration of various shipping data elements, new support for administration of user fields in Pacejet, a performance optimization for the ship confirmation page (shaving a few seconds per transaction off this high-traffic area). There is also some initial information on a new "high-volume batch" feature which is in early customer testing now. As we move into 2015, you can expect Pacejet to continue to press ahead on platform innovations, carrier network improvements, and NetSuite integration bundle upgrades, among other key initiatives. 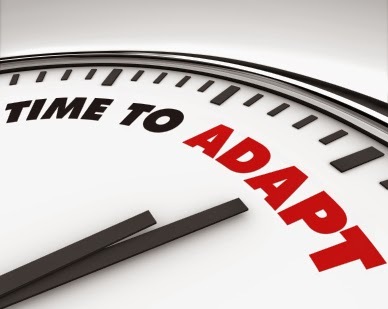 We continue to operate with an "agile" structure, which essentially means we strive for continuous releases of small, incremental improvements, to get those into the hands of users quickly, learn, and adapt. Keep an eye on the blog and the Help area for new details. Our platform naming convention will shift to 2015.x starting in January and one of the next releases you'll see coming your way will include enhanced administration of many areas of Pacejet so you have more control over how and what it handles in processing. We're also working on some enhanced reports with some unique information (I'm particularly excited about a report that shows how much it cost when you did NOT go with a Pacejet rate-shopped carrier results in quoting or shipping alongside of how much you saved when you DID choose to go with our recommendation). There will be refinement of the high-volume batch processing module as part of the next feature pack platform release. There are bigger items on the horizon but this is already a large blog post, so we'll save a little news for January. On the Built for NetSuite bundle upgrade front, we have several new versions in the pipeline working their way towards availability. 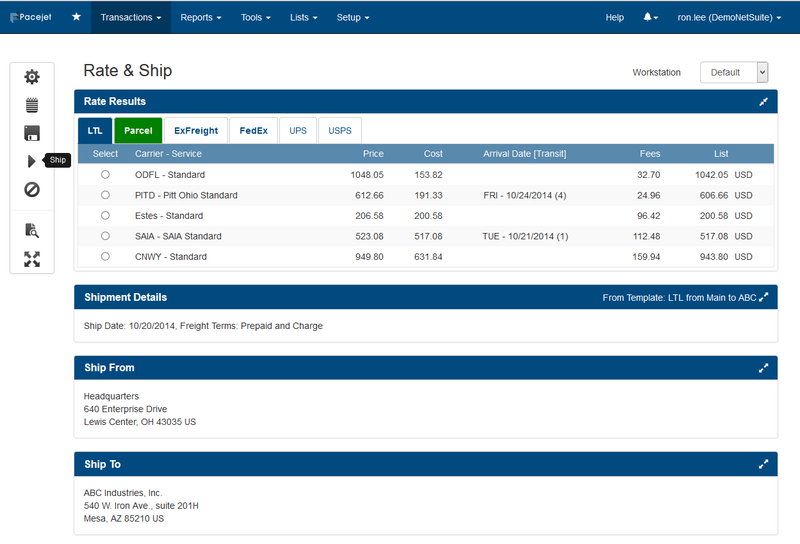 I'm excited to see our new support for Drop-Ship Freight Quotes (for Purchase Orders linked to Sales Orders) in the next 5.10 bundle upgrade as we think this will be a great cost-saver for NetSuite shippers who will be able to use the Pacejet Netsuite integration to guide their drop-ship vendors in choosing the best carrier/service to use on shipments. We also decided to go the extra step here and support inbound Order freight quotes along with Freight Quotes for special orders, all as part of a standard release of Purchase Order freight quoting with NetSuite. On the infrastructure side of bundle updates, we'll be improving the user login experience using single sign-on support, which should be especially helpful for users who have a lot of non shipping users who run freight quotes. Keep watching your email and pacejetblogs for more information and contact our support team at support@pacejet.com or 877-722-3538 as you work on your plans for 2015 and beyond. Again, thank you for being a Pacejet customer and user. We get up every day thinking about how to help you ship, but it's the direct work to support you and shippers like you that gives us the best ideas about how we can innovate, improve our solutions, and improve our value to you. And hey, if you're reading this and are not a customer --- it's about time to get on-board! We are looking forward to a great 2015 in helping NetSuite shippers drive their businesses forward, reduce costs, and grow, grow, grow.